As part our week-long Spirit Week this week (hosted by our new Student Council, which I am advising and helping), we are hosting a school-wide challenge for a designated “Engineering Design Day” today. My sixth grade science colleague, Lisa Rice, suggested this Marshmallow Tower Challenge as a way for our entire school to come together as designers. I love that! We hope all teachers take part, but there is no requirement. Lisa is collecting school-wide data, though, in hopes of sharing out a huge experiment across the building, and getting kids and teachers excited about engineering design. Look who does the best in this TED presentation? The kindergarteners! And notice the talk about “high stakes” (adding money reward to the challenge) and how the high stakes negatively impacted the creative design of the towers … I guess we could easily draw some parallels to the current educational climate of high-stakes testing, right? 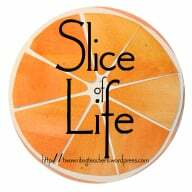 Slice of Life: Inauguration or Not? Eight years ago, we showed the first inauguration of Barack Obama to our sixth graders, live, and we got an angry call the day of the event from a father, who demanded we pull his child from the viewing. There were less-than-subtle racist overtones to the request. I am trying to spark a conversation with my colleagues and administration over the question: do we show the inauguration ceremonies of Donald Trump next month to our sixth graders? I even asked teachers on Twitter. Granted, the pool of contributors was small, but indicative. Or maybe it is more indicative of my “echo chamber” of friends in social media. But, I lean towards the “yes” — it’s an event related to a presidency race that we followed and wrote about all fall, and I teach in a town that voted nearly 50/50 Trump/Clinton in November. I can put aside my own personal feelings (mostly) and view it as a learning experience (somewhat) and let my young students see how the transfer of power happens. I would be cringing the entire time, to be frank. But I could pull it off. I am a professional. Then my wife, who is an administrator at a high school, noted that her school is also in similar discussions, but their fear over showing the event live to all students is that something disruptive or violent will happen during the live event, and there will be no way to filter the experience. I hadn’t thought of that. I didn’t want to think of that. I don’t want to think of that. But I guess I have to. Sad, right? For now, I am leaving the decision in the hands of the administration, and seeing what their take on the matter will be. One option is to let students “opt in” to watch the ceremonies and provide an alternative to those who don’t want to see it (but then we will be dividing up our student population by politics, I fear). Another is to show an edited version on the following Monday (the ceremony is on a Friday), which might be the more restrained approach. What are you going to do? Why? 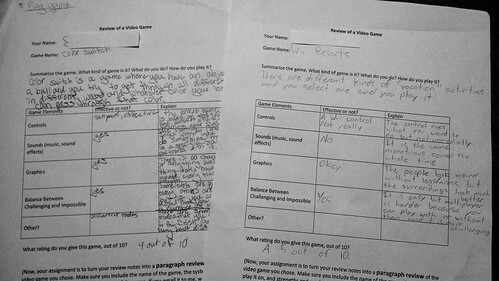 One of our writing components in our Video Game Design unit, now underway and nearing competition, is a persuasive piece of writing, in which my students analyze through a design lens and then review a video game. 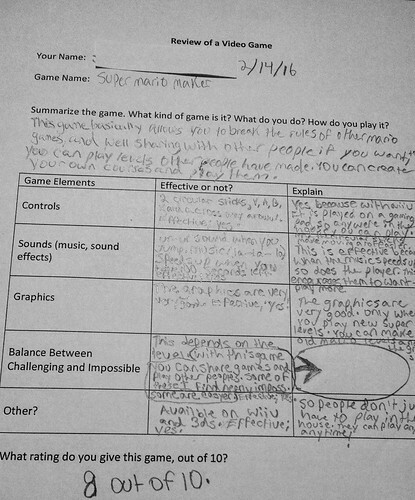 This kind of writing will also set the stage for our shift into Argumentative Writing down the road. I love how invested so many of my students, particularly my struggling writers, feel with this particular assignment because they are writing an opinionated piece about something they know very well. They are sharing their gaming knowledge. 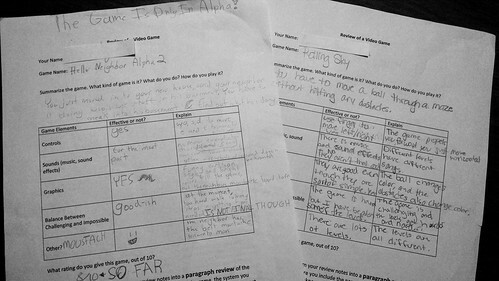 Of course, like all of our writing assignments, it begins with planning out their ideas, and these graphic organizers show some of the thinking behind the writing of the reviews. We had to deal with is likely a “sign of the times” as our youngest son moves from adolescence into teenager (we still have six months! ), and he learns more about the reach of media. I won’t share the whole story but it has to do with him sending an email blast to a bunch of friend and teachers with an image he thought was cute and funny. It was an image of Pepe the frog. Which, if you followed the election and the emergence of the so-called Alt-Right, you will know that the image of Pepe has been, let’s say, taken over by the extreme right wing for racist insults. A frog is not just a frog on the Interwebz anymore. Pepe is a cartoon from the days of MySpace comic, and artist Matt Furie is trying to reclaim his image. Good luck with that. To be fair, my son only shared an image of Pepe and not any of the nasty, dangerous memes. He was clueless about the back story of Pepe until I saw what he had done and sat down, and we had a conversation about the hidden meanings of many memes. Many times, the harsh meaning of memes is disguised behind a cute image. I had printed out an article about how the Anti-Defamation League had declared Pepe a “hate symbol” after the election, and showed him a blurb in Time Magazine about it. Images of the frog, variously portrayed with a Hitler-like moustache, wearing a yarmulke or a Klan hood, have proliferated in recent weeks in hateful messages aimed at Jewish and other users on Twitter. 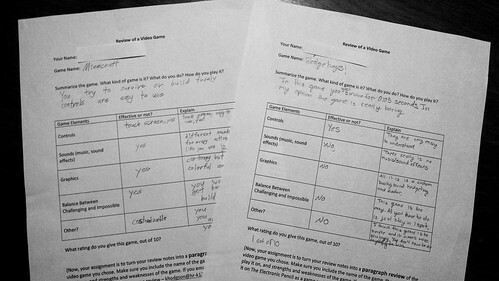 My son was taken aback, as he should have been, and then proceeded to write out apology notes for two of his teachers that he shared it with over email (we also had a longer talk about careful and considerate use of email and sharing media with people), explaining his ignorance of the hidden meaning and stating that he is not a racist or right-wing fanatic. One resource that is valuable for us, as adults, and perhaps for kids, too, is Know Your Meme — a vast database of information about the histories of memes and the current usage of them. We all might want to spend some more time and thought on what we are sending before we send them out into the world. This is a quick read, but one that might require a few reads, if that makes any sense at all. Not because it is confusing. It is so interesting. I am one of those people who has come to photography late, thanks to the emergence of mobile devices for visually capturing the world (and double-thanks to the work of my friend, Kim Douillard, whose photography and image prompts always get me thinking at odd angles). 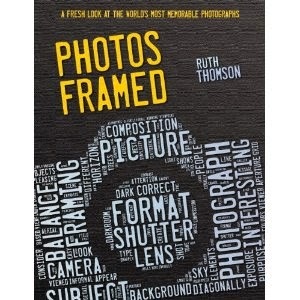 Photos Framed, by Ruth Thomson, is a collection of very famous photographs. What Thomson brings to the table is the curation and reflection on the composition of these famous photographs. 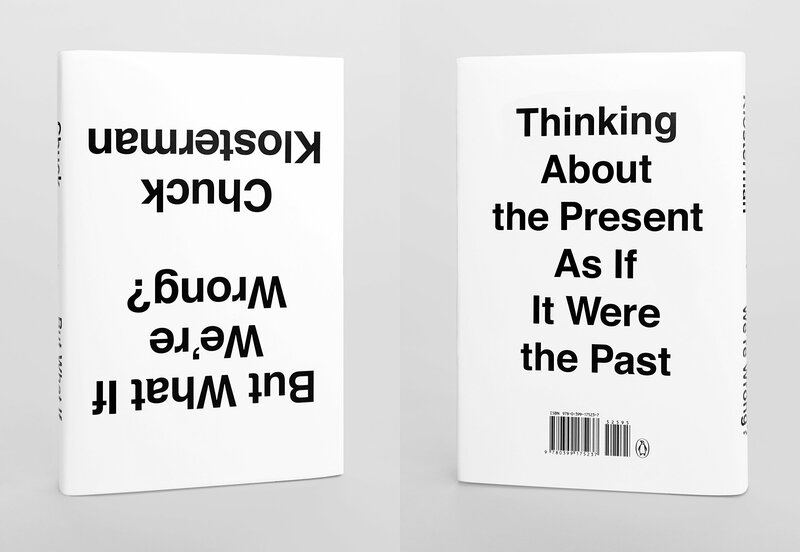 In tight text alongside the images, she explores the back stories of the images and photographers. She also pulls out small moments (literally … cropped shots sit alongside the full image) from within the larger visual frame, asking questions about lighting, perspective, colors, textures and more. Sure, I’ve seen the famous images of Migrant Mother (Dorethea Lange), The Horse in Motion (Eadweard Mybridge), The Kiss by the Hotel de Ville (Robert Doisneau), Afghan Girl (Steve McCurry), The Cottingly Fairies (Elsie Wright), and Tank Man (Jeff Widener). Thomson showed me aspects of these famous images I never saw or considered before. 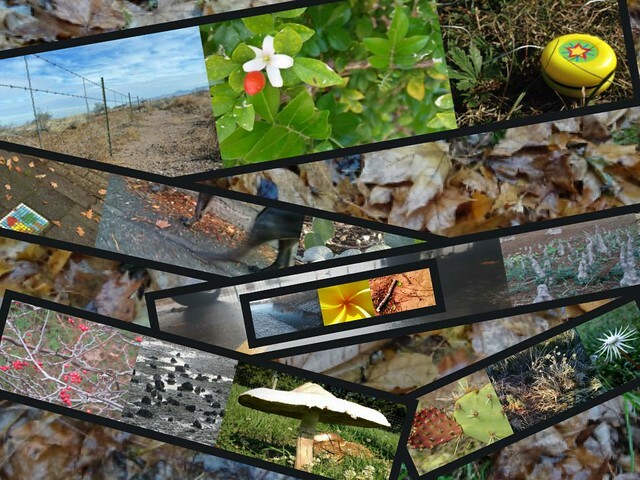 She reminds us that images are story, with contexts. To ‘read an image’ is to dive through the lens at many levels. That doesn’t mean these photos don’t stand on their own. They do. What it means is that each one can draw you in further, if you choose to go on that journey. Photos Framed is a nice tour guide. I’ve written this kind of post before — the feeling of loss when a favorite technology site announces it is closing up shop. I guess I should be grateful the announcements even happen. The latest is TitanPad — a powerful collaborative document tool that I have used with many other people over the years, mostly for collaborative poetry. TitanPad was built out of a wave of other collaborative document makers from the roots of Etherpad and Google’s acquisition of a key element of open collaborative document makers, but I liked it for the simplicity and for the way it archived every keystroke, turning the static document into something you could watch unfold like a movie. I know there are add-ons in Google Docs and a host of other sites that do much of what TitanPad has done and I appreciate that the programmers (who reasonably cite changes in web browsers, underlying code and issues of privacy as rationale for pulling the plug) are doing a “graceful shutdown” so that people can make decisions about their work. No more new pads after May and then by the end of 2017, the site will be gone. I’ve always thought of the collaboration we have unfolding in TitanPad to be mostly temporary writing, sometimes captured beyond the pad in other ways (such as with video and audio), so I don’t even have many links to past work I have done with others to save, even if I wanted to. What in the World Have I Been Writing About? Well, I write about teaching, about writing, about collaboration, about Connected Learning, about comics, about digital literacies, and, yes, a lot of other stuff that often seems ancillary to my identity as an educator. Twitter is one of my go-to platforms to engage with others. Despite all of the reasons why people may not like Twitter (some of which are very valid), I still find it valuable for discovering new ideas and reflecting with others on the journey forward. Still, 54,000 small bits of writing? That sure seems like a lot. Shoot. 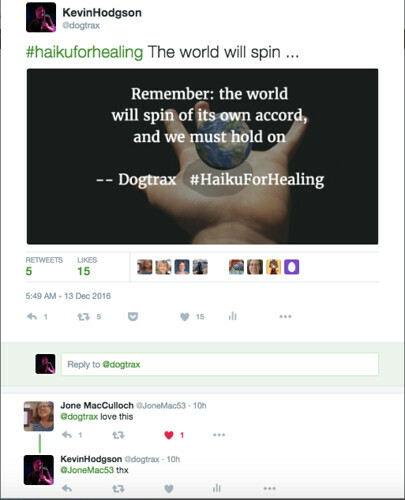 I can live with adding more debris of words to the world if it means being part of something like the #HaikuForHealing project that Mary Lee Hahn and others have been engaged in for the past month or so, as a way to grapple with the fallout from the election and the emerging chaos of the Trump years to come. Some days, it feels as if words are all we have. And Twitter is made for Haiku. 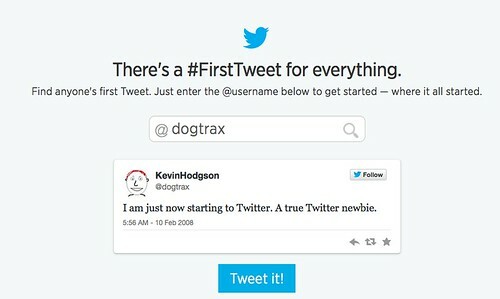 Interestingly, Twitter also has a tool that allows you to go back in time to find your very first tweet. Here’s mine. That was nearly nine years ago. That was before Obama even took office? Time sure flies. Gotta run. I have another haiku to write. See you on Twitter. It snowed. And from a small window in our studio area, I was watching this one tree get snowed upon, its branches grabbing the heavy wet snow like a blanket. Then, as the day grew warmer with sunshine, I watched the snow drop off, almost in slow motion, as if the tree branches were reluctant to let go. During the first Snow Day of the year, I started to write this song, with that tree in mind. It’s a musical Slice of Life today, constructed from loops and imagination. We’re wrapping up two weeks of Pop-Up Make Cycles that the CLMOOC Crowd (past participants who have stepped up to facilitate the Connected Learning MOOC this past year) organized for what used to be Digital Writing Month (but may be no more). 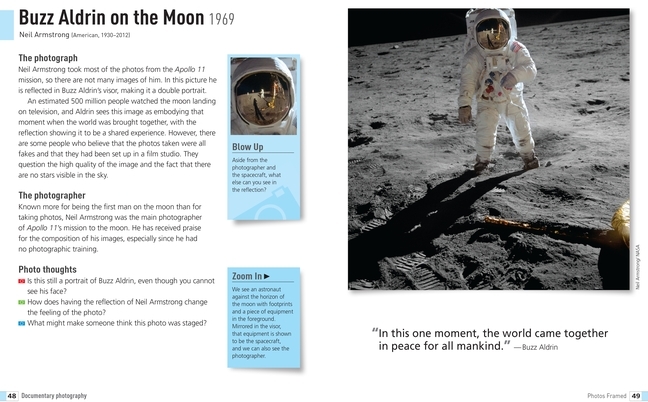 We invited people to share photos, annotate and curate on the Web, make and share animations, discuss Digital Writing in a variety of formats, produce inspirational images and messages, and more. It’s probably not the ideal time of year to hope that many, many people will take the CLMOOC up on the invitation to make, create, share. Still, that’s the beauty of the Pop-Up Make Cycle idea (first launched by Joe Dillon and Terry Elliott, I believe). It comes. It goes. It’s an open invitation. Do I wish more folks participated? Yes. But then I remember something we said early this past summer at all due to a different focus for the National Writing Project, when it seemed that CLMOOC might not happen in 2016. A few us (participants and past facilitators) chatted and decided: Yes, CLMOOC will indeed happen, and those few soon grew to more than a dozen people who volunteered to become the CLMOOC Crowd (my name for it). We agreed that “small” is perfectly fine. The “M” in this mooc does not have to be “massive” anymore. It just has to be “meaningful.” So, “minimal” works, too. And you know .. this is the Open Web. Anyone at anytime can access any of the ideas. You’re invited. You’re always invited.